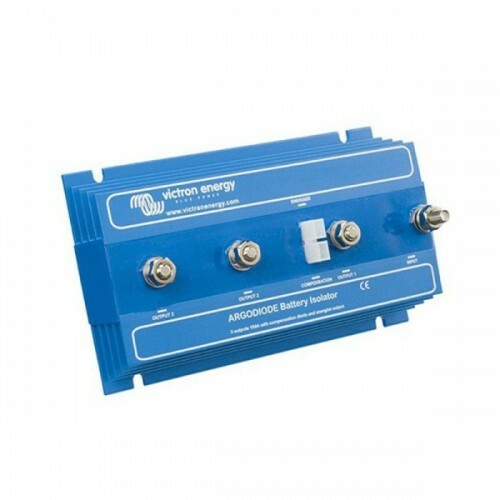 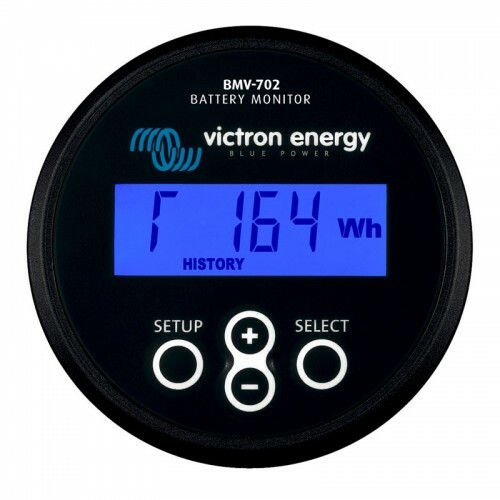 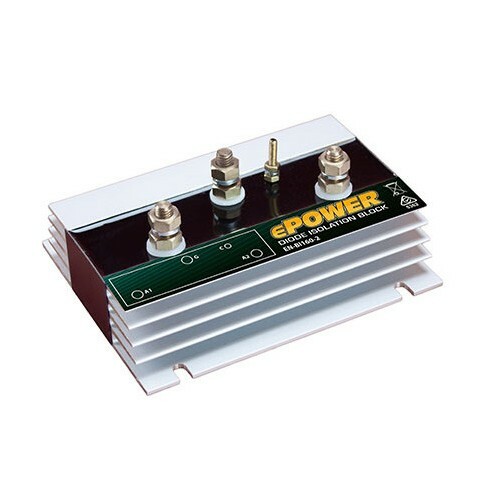 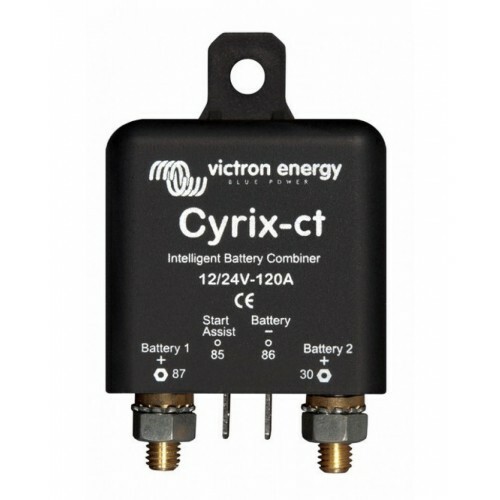 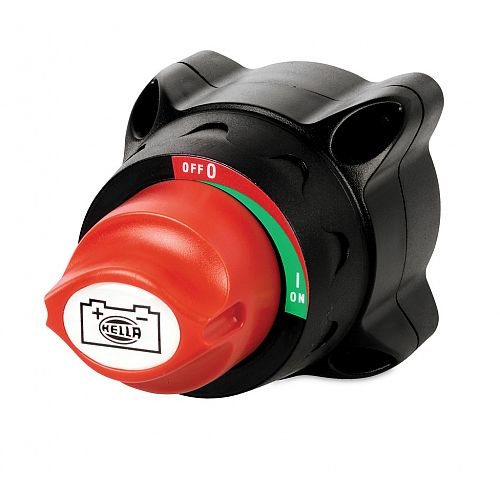 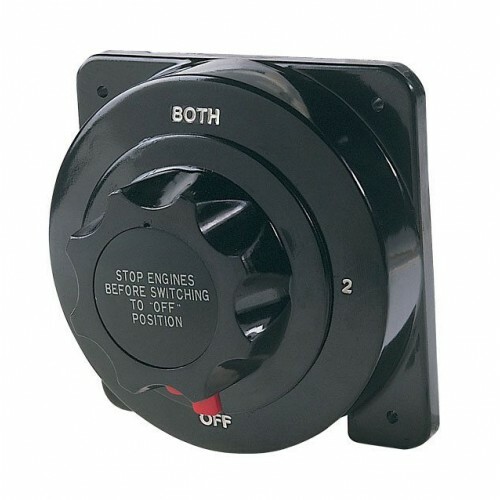 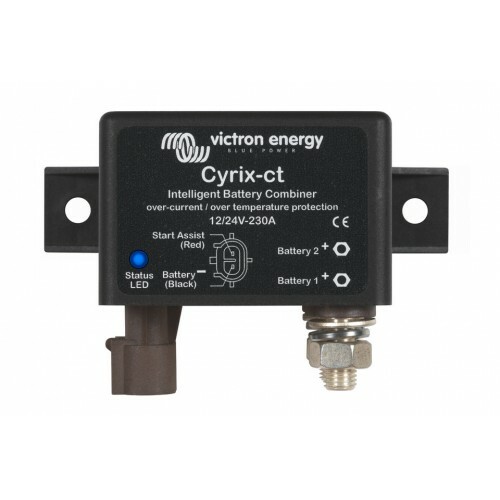 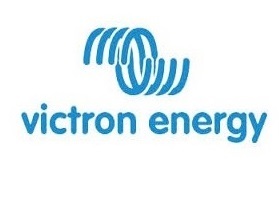 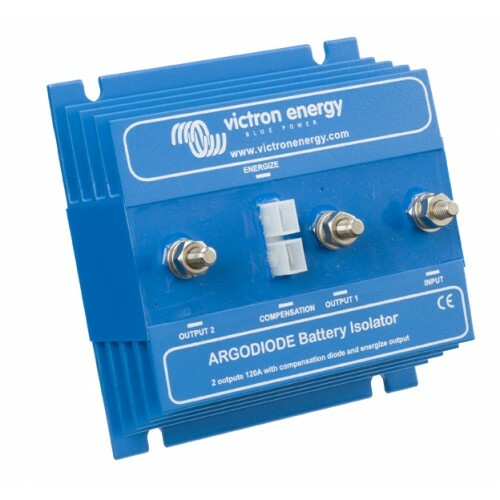 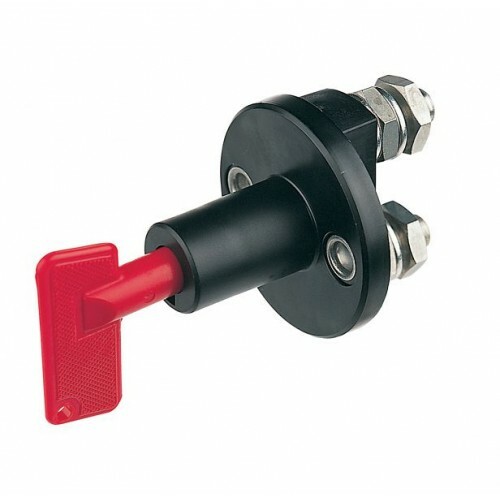 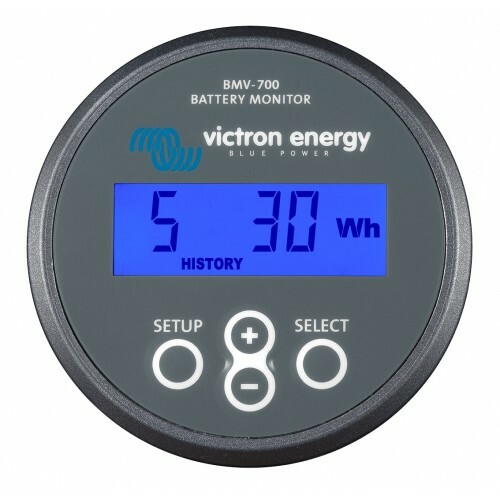 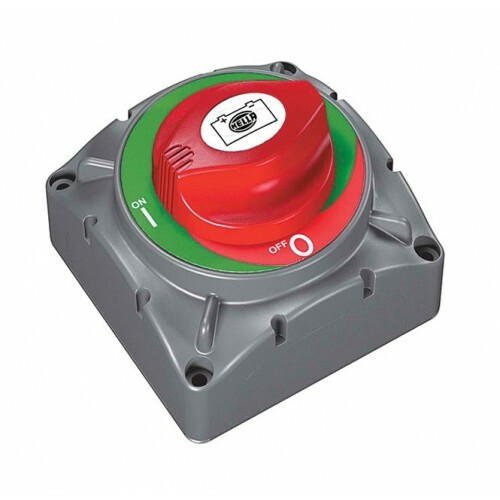 Victron FET Battery Isolator Argofet 100-3 100 Amp for 3 Batteries is similar to diode battery isolators, FET isolators allow simultaneous charging of two or more batteries from one alternator (or a single output battery charger), without connecting the batteries together. 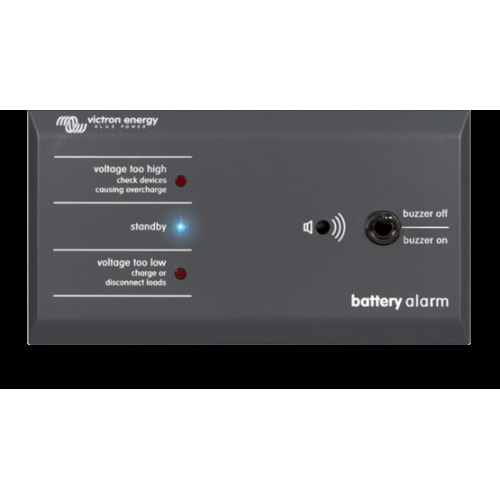 Discharging the accessory battery for example will not result in also discharging the starter battery. 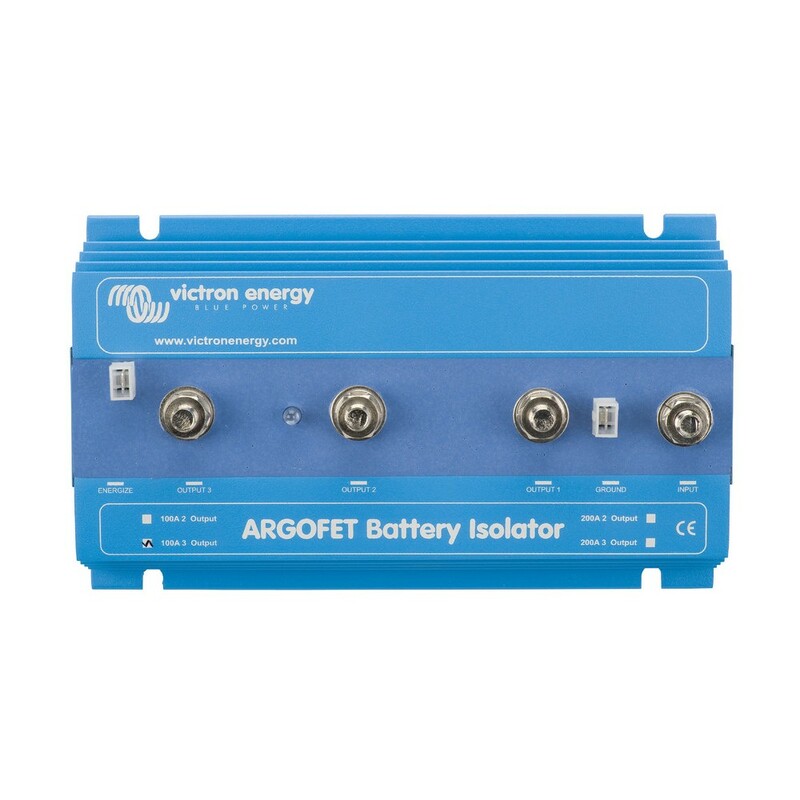 When using ARGO FET Battery Isolators, there is no need to also increase the output voltage of the alternator. 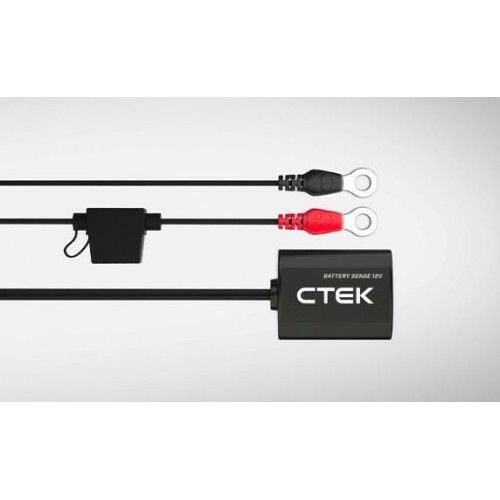 Care should taken however to keep cable lengths short and of sufficient cross section. 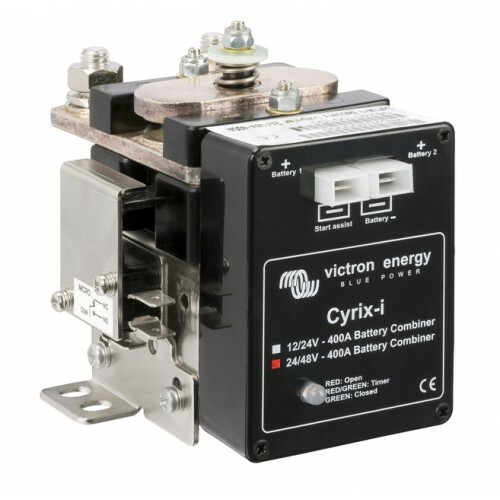 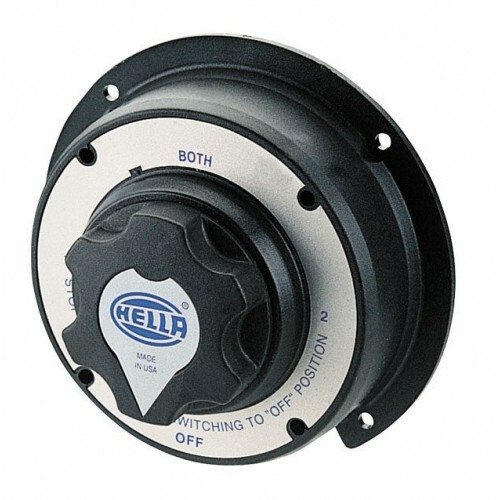 Example: When a current of 100 A flows through a cable of 50 mm2 cross section (AWG 0) and 10 m length (30 ft), the voltage drop over the cable will be 0,26 Volt. 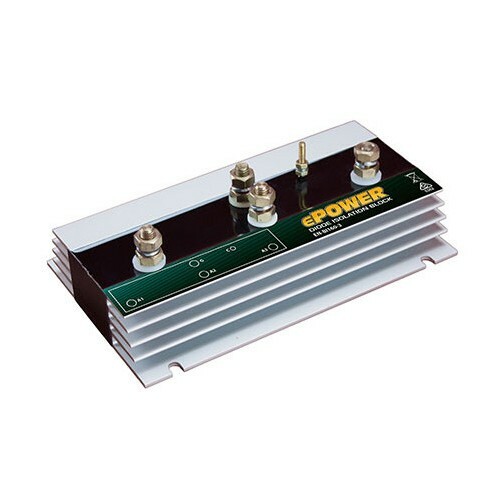 Similarly a current of 50 A through a cable of 10 mm2 cross section (AWG 7) and 5 m length (15 ft) will result in a voltage drop of 0,35 Volt! 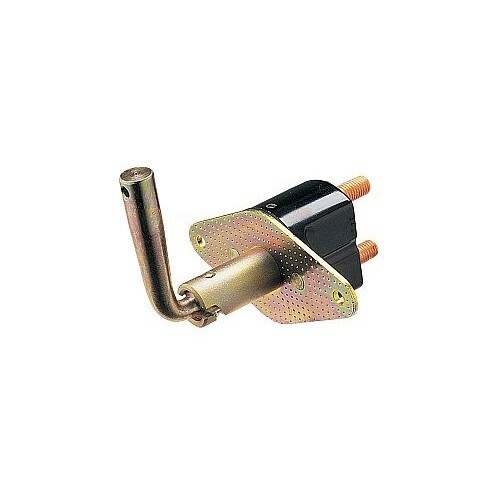 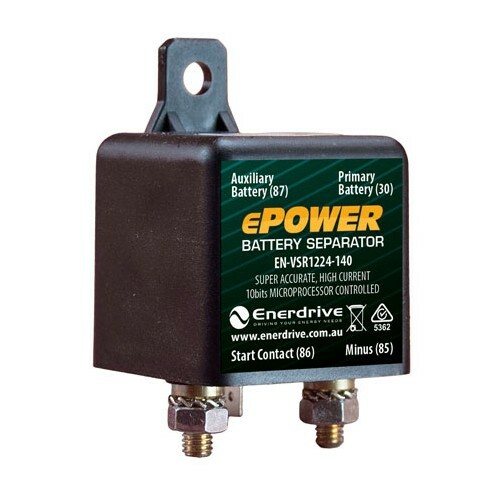 Some alternators need DC voltage on the B+ output to start charging. 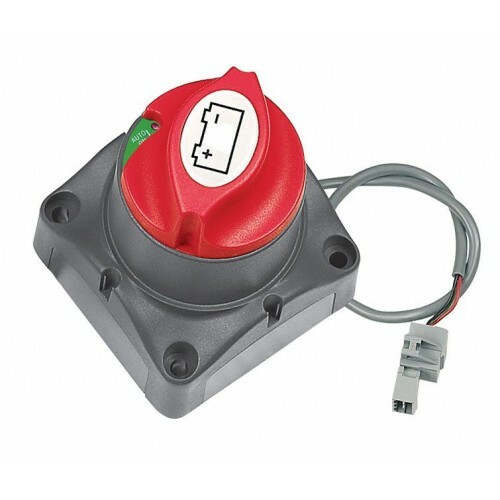 Obviously, DC will be present when the alternator is directly connected to a battery. 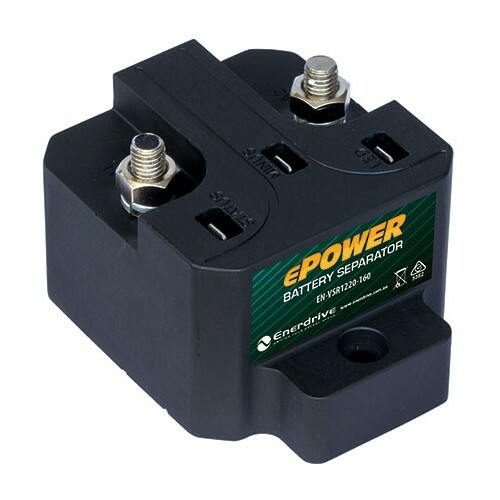 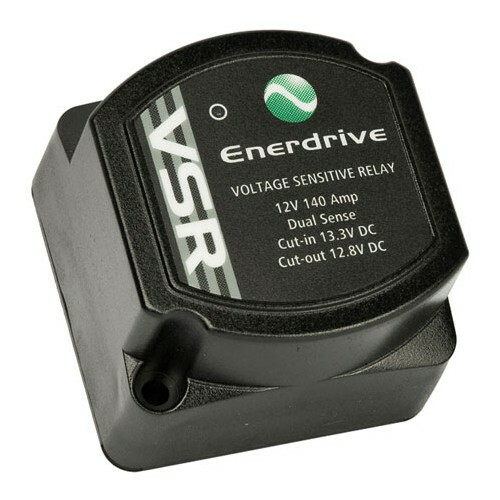 Inserting a Diode or FET splitter will however prevent any return voltage/current from the batteries to the B+, and the alternator will not start. 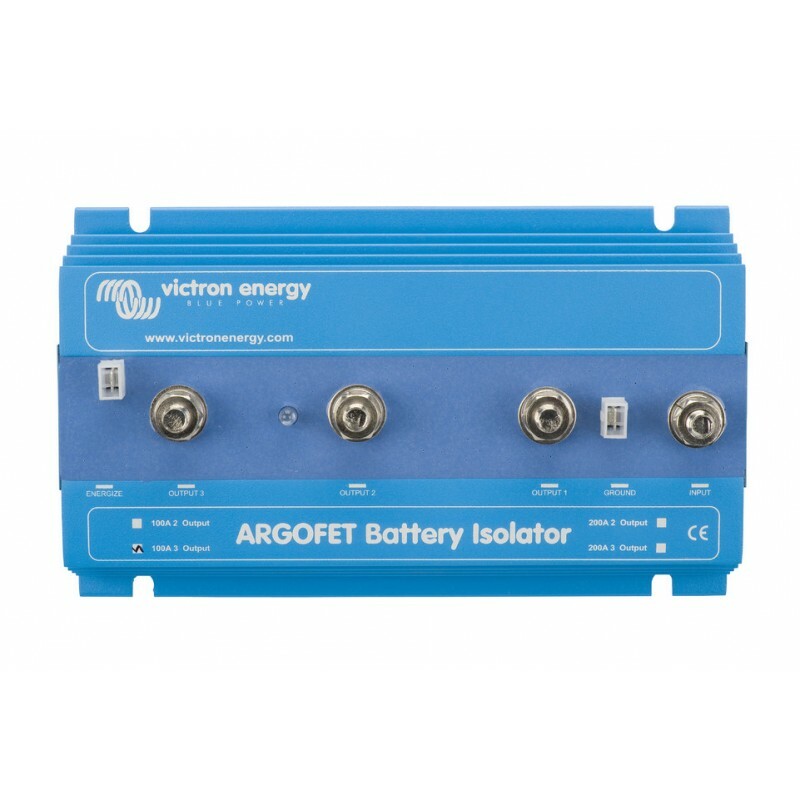 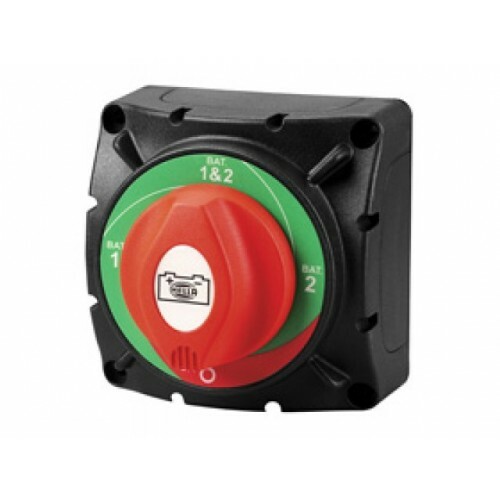 The new Argofet isolators have a special current limited energize input that will power the B+ when the engine run/stop switch is closed.